Here’s a little tidbit most people do not know about me: I’m not a big fan of leftover chicken. I much prefer eating it freshly cooked right off the grill or straight out of the oven with salty crispy skin and juicy meat. Leftover chicken is just… meh. It’s boring, tough, and difficult to restore to its original fresh cooked taste level. If I have leftover chicken I almost ALWAYS repurpose it into some interpretation of chicken salad. Here’s one way to take leftover chicken and transform it into something delicious and light! This Lemon Dijon Dressing is useful for almost any salad, so enjoy using the excess from the recipe on your other salads throughout the week! I recently used it on a simple butter lettuce, cucumber, and avocado salad. Yum! 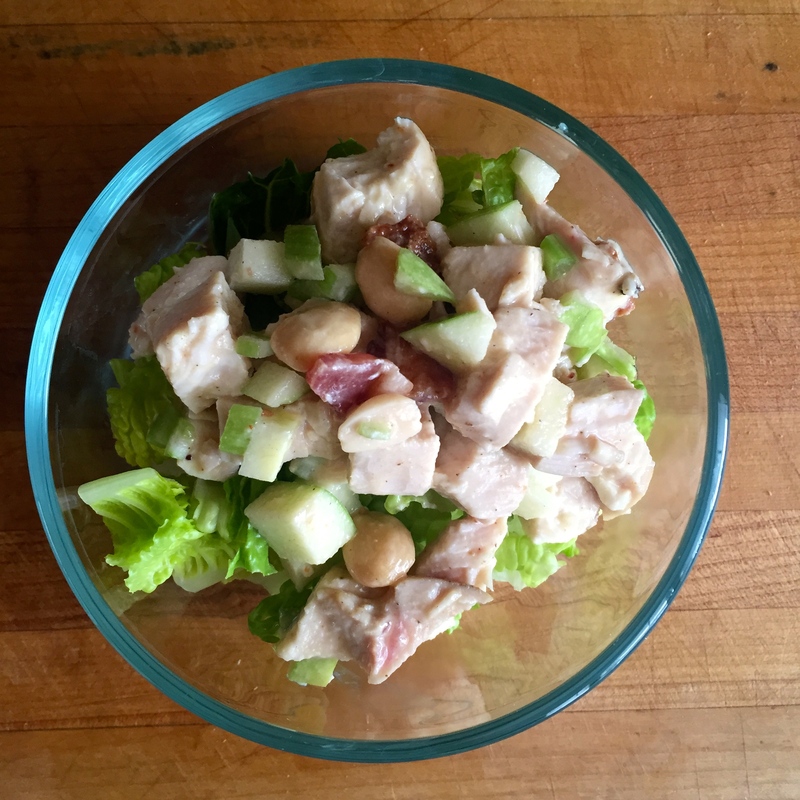 Chop up your cooked chicken into small bite-sized bits and combine with apple, celery, bacon, parsley, green onion, and almonds. Using a blender, hand blender, or just a bowl and whisk, combine all dressing ingredients. Pour a small bit over the chicken mixture and toss to coat. Add more dressing to taste. Good idea and that dressing sounds good too.